Tetris II 2 original NES Nintendo Game cartridge only - Cleaned Tested and Guaranteed to Work! 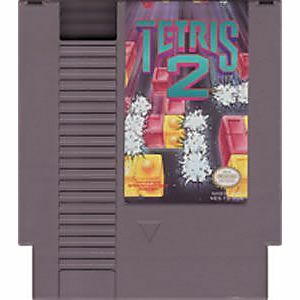 Hoping to find a Tetris experience like the original on the NES with multiplayer functionality, I turned to Tetris 2. Because of this, I was fairly disappointed. 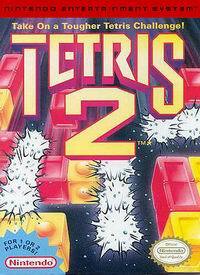 Tetris 2 plays more like Dr. Mario or Puyo Pop, but is not as enjoyable. It's not a bad game, but it doesn't exactly live up to the Tetris name. 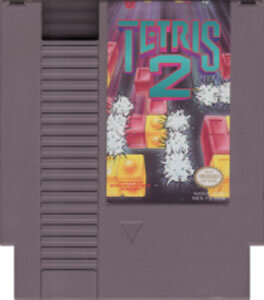 I am a big fan of Tetris, so when I saw you had Tetris II in your inventory I had to get it. The game is in very good shape and I enjoy playing this old game. Just a warning this game is very different than the first Tetris. I thought I would buy this because I love Tetris and I do not love this version. I suggest you watch a youtube video of this game before you just buy it like I did. This was taken from the manual. Tetris 2 consists of red, green and yellow blocks. In the original Tetris game, the object was to erase the blocks by arranging them horizontally across the screen. However, in Tetrist 2, your goal is to arrage three blocks of the same color vertically or horizontally. This will cuase the set of three blocks to disappear. The game can grow on you and is very challenging at first but I just wanted to warn you it is not the same as the 1st Tetris. It is more like Dr. Mario.